ERODE: Students should set a target of their own, and achieve it through hard work, said the Collector, D. Karthikeyan. Honouring SSLC, Matriculation and Plus Two district toppers here on Tuesday, he Jsaid that, for the first time, students from the district obtained the first three places in the SSLC examination. Lauding the teachers, he urged them to strive hard to produce more first rank holders in all subjects in the coming years. The Collector distributed shields to first three toppers in the SSLC (State Board) examination. He also distributed prizes to toppers in all subjects in SSLC, Matriculation and Plus Two examinations. He also honoured the Chief Educational Officer, P. Kuppusamy, and the District Educational Officers, Shanmugavadivu and Pothirajan. ERODE: The State Government has granted Rs. 9 crores to the district exclusively for carrying out development works in primary schools, anganwadis and noon meal centres. A detailed list of repair works in schools will be collected and the funds spent, said Collector D. Karthikeyan at the Vellalar College for Women in Thindal here on Tuesday. He was inaugurating a one-day training programme for the Rural Education Committees formed under Education for All programme. The Collector said that the Government granted Rs. 20 crores for the district under the Education for All programme and the Education Department was making efforts to make all the eligible children educated by admitting them in schools. Dropouts, physically challenged and children belonging to SC/ST were given importance in the admission. He said that by 2010, all eligible children would be admitted in the schools. Mr. Karthikeyan said that under the National Girl Children Special Educational Scheme, three Kasturiba Gandhi Baliga Vidyalaya Residential schools were functioning in Anthiyur, Nambiyur and Thookanaickken Palayam in the district. Totally 180 girl students were admitted in the schools. The students were provided with free food and uniforms. Technical education was also given to the students. The Collector said that at present the three residential schools were functioning in rented buildings and soon buildings would be constructed for the same. The Collector said that in the district, the Rural Education Committees were formed in all 343 village panchayats and 53 special panchayats. For each committee, the respective panchayat president would be the president and the area school Headmaster or Headmistress the secretary. Eighteen other members were also posted. These committees would evaluate the educational status of the village and take steps to admit all the eligible students in the local school. Chief Educational Officer P. Kuppuswamy presided over the programme. Secretary and Correspondent of the college S.D. Chandrasekar, District Educational Officer V. Shanmugavadivu, District Elementary Education Officer R. Mallika and others spoke. ACHIEVEMENT: Villupuram Superintendent of Police A. Amalraj giving away a shield and a certificate to a student of Arumbavur Government Higher Secondary School, Perambalur, at the State-level exhibition in Villupuram on Wednesday. VILLUPURAM: The exhibit of E. Revathi of Arumbavur Government Higher Secondary School, Perambalur, has bagged the first prize in the State-level 37th Jawaharlal Science Exhibition that concluded here on Wednesday. She demonstrated how sewage could be treated through a simple mechanism and the treated water used profitably for agricultural and industrial purposes. Further, through reverse osmosis it could be made potable. Since sewage disposal is a daunting task before the civic bodies her solution has impressed the organisers to put it on the top slot. Villupuram Superintendent of Police A. Amalraj gave away the shield and certificate to her. The second prize went to A.N. Salma of Palani Government Higher Secondary School, Dindigul, for the exhibit on “traffic energy,” and R. Vairamuthu of S.K.V. Higher Secondary School, Kannathur, Madurai, won the third prize for his device on measuring pollution. All the three prize winning models mirror the problems faced by the people and also offer solutions in an effective manner. Mr. Amalraj said that only three of the 93 exhibits could bag the award did not mean that others were not up to the mark. A lot of thought had gone into all the exhibits and those that had immediate impact on the environment and the day-today life of the people had been selected for the honour. Rest of the exhibits too reflected how concerned the younger generation was about the state-of-affairs and how science and technology could remedy the situation. The students should set a goal and choose the right path to achieve it. Quoting a poem from the Bharathiar works Mr. Amalraj said the students should be courageous enough to challenge the evil forces. Chief Educational Officer P. Kuppusamy, District Education Officers S. Santhi and M. Kaliyapadayachi, and Elementary Educational Officer M. Dhanasekaran participated. VILLUPURAM: In connection with the World Classical Tamil Conference scheduled to be held later this year at Coimbatore, an online drawing competition was conducted for school students at V.R.S. College of Engineering at Arasur near here on Friday. The competition was a prelude to the Tamil Internet Conference to be held as part of the world conference. In the competition, a total of 497 students, both boys and girls, from 225 private, municipal and government schools in Villupuram district participated. District Revenue Officer C. Kathiravan, who supervised the competition, said that the theme-based competition drew overwhelming response from schools. Chief Educational Officer P. Kuppuswamy said that the competitions were held under two categories: for Class VI to X students, and for Plus-One and Plus- Two students. Mr. Kuppuswamy said that district-wise prizes would be distributed. The winners would get digital cameras and MP3 players, and the school they represent would get laptops. 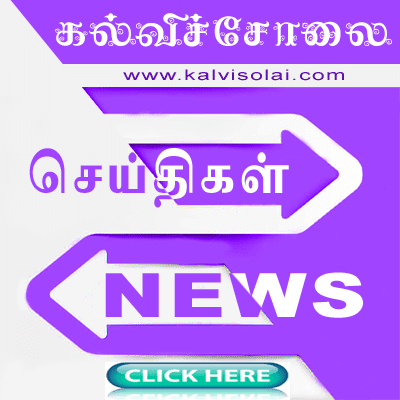 ERODE: Under the Education for All scheme, the Collector, D. Karthikeyan, on Monday launched an intensive campaign on admission of children in schools in Erode. He also inaugurated a propaganda van. He urged the parents to admit their children in school, and asked officials to take steps to prevent dropouts in schools. The propaganda van would visit five villages in a panchayat union, and stress the importance of education. He stressed the need for eradication of child labour. The Chief Educational Officer, P. Kuppusamy, the Primary School Education Officer, Mallika, and the District Education Officer, Shanmugavadivu, spoke. The World Environment day is celebrated on the 5th of June all over the world. The theme of the World Environment Day for the year 2006 is “Deserts and Desertification” and the slogan is “Don’t Desert Dry lands!” To commemorate the World Environment day in Tamil Nadu, a rally was organized in Chennai by the department of Environment involving 12 schools consisting 200 NGC and Eco club members. Thiru K.S. Neelakantan, I.F.S flagged off the green rally from Guindy National Park, which concluded at Birla Planetarium. Thiru T. P. M. Mohideen Khan, Minister for Environment and pollution control presided over the function and released “Arivukkan” a special issue and a compact disk on “Air Pollution”. Thiru Vishwanath Shegaonkar, I.A.S., Secretary, Environment and Forests, Thiru K.A. Mathew, I.A.S, Chairman, TNPCB also spoke on the occasion. Tree saplings were planted by the dignitaries at the premises of Birla planetarium. A State level function was also organised on June 6th, at palayamkottai and the Hon’ble speaker of Tamil Nadu Legislative Assembly, Hon’ble Minister for Environment, Hon’ble Minister of Social welfare and other dignitaries participated. The World Environmental day was also celebrated in other districts of Tamil Nadu. In Dindigul, Tmt. R. Vasuki, I.A.S., District Collector flagged off the cycle rally where hundreds of students, NSS volunteers and members of Green Club participated. A workshop on “Dry land Management and Promotion of Horticultural Crops” was organized by Parkkavan Trust, Trichy District. Around 107 school students participated in drawing competition, and 200 saplings were planted. Maruthi, (Multipurpose Association for Rural upliftment Technology and Human Integrity) celebrated World environmental day at the premises of Tamil Nadu Pensioners Society, Manamadurai, Sivagangai district. They have conducted a one day awareness programme for the students, villagers and members of Self Help Groups on Green Belt Development, Solid Waste Management, Pollution Control, Ground Water and Modern agricultural practices for better living. In Madurai district, the Chief Education Officer (CEO), Tmt. K.Sridevi, presented the ‘Jessie Jeyakaran best National Green Corps rolling shield’ to Capron Hall Girls higher secondary school. About 800 young boys and girls from X and XII standard gathered in the campus of Sri Meenakshi Government College for women to demonstrate their concern over the diminishing green cover. In Erode district, Sonal V. Misra, I.P.S., flagged of the World Environmental Day awareness rally, Thiru P. Kuppusamy, CEO released stickers and pamphlets on environmental awareness. About 480 students participated in this programme. In Coimbatore district, World Environment Day was also celebrated in Pollachi Municipal Girls Higher Secondary School, Coimbatore District. Thiru D.N. Venkatesh, I.A.S., Deputy Collector, presided over the seminar, Thiru K.R. Vaithiarajan I.F.S., Conservator, Indira Gandhi wildlife sanctuary flagged off the rally. Tmt. R. Uma Rani CEO also participated. The following special programmes were also conducted during World Environment Day 2006Seminar at Pullambadi, Lalgudi T.K. Trichy District conducted by Parkkavan Trust, Pullambadi Workshop at Theni, Theni District conducted by Literate Welfare Association, Kadamalaikundu, Theni Rally and competitions at Pollachi, Coimbatore District conducted by Dr. K. Govindarajulu, NGC co-ordinator, Pollachi Rally at Thiruvothiyur conducted by Thiruvothiyur Ariviyal Mandram, Thiruvothiyur, Chennai Cycle rally at Dindigul, Dindigul District conducted by CSMA Higher Sec.School, M.M Govilur, Dindigul. MANY weekends, G. Karthikeyan had toiled in the farms in his village for a daily wage of Rs. 50, just to fund his education. He ended up scoring 1,141/1,200 in his Class XII exams. But, given his family situation — his father earned Rs. 100 a d ay as a farm labourer — the boy thought his dream of pursuing metallurgical engineering would remain just that. “I feared I would end up working alongside my father in the farm to make ends meet,” says the boy from Anthiyur in Erode district. Today, he is hopeful, thanks to an NRI. The Toplight Educational and Social Trust ensures that kids like Karthikeyan get a fair chance in life. B.N. Kesavan’s story is similar to that of Karthikeyan. With 1,121 marks, this son of a handloom worker wove dreams of becoming a cardiologist. He was not sure if he could pursue MBBS even if he managed to get a seat. Duraiswamy, who made it to the United States against great odds, set up Kintana Inc., an IT governance software firm, which is now a part of Hewlett Packard. Duraiswamy started working on this in 2004 and got in touch with his uncle Dr. K.S. Palaniswami, a scientist. He is now the managing trustee and oversees day-to-day operations. They consulted members from various sections of society to decide on the type of intervention. “Before embarking on the project, we met academics, social workers, politicians and many others to decide on the nature of intervention. And after dismissing ideas like building a school, we decided to support academically bright but economically weak Government school students,” says Palaniswami. The uncle-nephew duo zeroed in on Erode district, which also happens to be their native place. With the help of the Chief Education Officer, Erode, P. Kuppuswamy, Mr. Palaniswami and his volunteers — there is one for almost every taluk — went around the district, identifying bright students. In all, they chose 60 students. “Toplight chose to support them from the beginning of the academic year because we felt that supporting them throughout the year rather than helping at the eleventh hour would reap rich dividends,” says the managing trustee. It worked wonders. “Before Toplight volunteers promised to fund my education, I used to score only around 800 out of 1200 because I was just not motivated. My fate was more or less sealed. I thought I would work on a farm, where marks hardly mattered. After assurance from Toplight, I worked hard and managed to score 1,141,” says Karthikeyan. Dr. Palaniswami says this is one reason why they chose to intervene at the beginning of the academic year. And Toplight seems to have inspired quite a few students. “Friends of those who received aid, have started working harder, assured as they are of a bright future. A competitive spirit prevails in the school because of the Trust,” rejoices S. Shanmugam, Headmaster, Government Higher Secondary School , Anthiyur. Mr. Duraiswamy says this is only the beginning. “Once we put a system in place and evolve a working model, we propose to expand the number of students and schools. We intend to have a thousand scholars,” he says. நெய்வேலி, மே 15: பிளஸ் 2 தேர்வில் 1174 மதிப்பெண்கள் பெற்று மாவட்ட அளவில் 2-ம் இடம் பிடித்தும் மாணவியின் பெயரை வெளியிட மாவட்ட முதன்மைக் கல்வி அலுவலர் மறுத்துவிட்டார். கடலூர் மாவட்ட அளவில் தமிழை முதல் பாடமாக எடுத்துப் படித்த மாணவர்களில் நெய்வேலி ஜவகர் மெட்ரிக் மேல்நிலைப் பள்ளியைச் சேர்ந்த மாணவர் ஜி.கார்த்திக் 1177 மதிப்பெண் பெற்று முதலிடத்தையும், இதேபள்ளியைச் சேர்ந்த மாணவி ஜே.ஐஸ்ரியா மற்றும் சிதம்பரம் காமராஜ் மெட்ரிக் மேல்நிலைப் பள்ளியைச் சேர்ந்த மாணவி கே.நந்தினிதேவி ஆகியோர் தலா 1174 மதிப்பெண் பெற்று 2-ம் இடத்தைப் பிடித்தனர். இந்நிலையில் நெய்வேலி ஜவகர் சிபிஎஸ்இ மேநிலைப்பள்ளியைச் சேர்ந்த தெய்வானை என்ற மாணவி பிளஸ் 2 தேர்வில் தமிழை முதல்பாடமாக எடுத்து தேர்வெழுதி 1174 மதிப்பெண்கள் பெற்றுள்ளார். இந்நிலையில் மாணவி தெய்வானையின் பெயரை மாவட்ட முதன்மைக் கல்வி அலுவலர் வெளியிடவில்லை. இதுகுறித்து மாவட்ட முதன்மைக் கல்வி அலுவலர் குப்புசாமி கூறியது, "பொதுவாக மாவட்ட அளவில் முதல் 3 இடங்களைப் பெறும் பள்ளிகளை அரசுப் பள்ளிகள், அரசு உதவிபெறும் பள்ளிகள், மெட்ரிக் பள்ளிகள் என விதமாக பிரித்து அறிவிப்புச் செய்கிறோம். அதனடிப்படையில் ஜவகர் சிபிஎஸ்இ மேல்நிலைப்பள்ளி பள்ளி சிபிஎஸ்இ பிரிவின் கீழ் வருவதால் அப் பள்ளியைச் சேர்ந்த மாணவியின் பெயர் இடம்பெறவில்லை. மேலும் அப்பள்ளியில் சில பாடப்பிரிவுகளுக்கு அனுமதி பெறாமலேயே வகுப்புகளை நடத்தி வருகின்றனர். இது குறித்து பலமுறை வலியுறுத்தியும் அவர்கள் கண்டுகொள்ளவில்லை என்றார் குப்புசாமி. இது குறித்து பள்ளி முதல்வர் கிருஷ்ணமூர்த்தி கூறுகையில் எங்களது பள்ளியில் சிபிஎஸ்இ பிரிவின் கீழ் செயல்பட்டாலும், 12-ம் வகுப்பில் சிபிஎஸ்இ பாடத் திட்டத்தின் கீழ் தனியாக வகுப்புகள் நடைபெறுகின்றன. அதேபோன்று மெட்ரிக் பாடத்திட்டத்தின் கீழ் தனியாக பாடப்பிரிவின் கீழ் வகுப்புகள் நடைபெறுகின்றன. கடந்த காலங்களில் இதே பாடத்திட்டத்தின் கீழ் பயின்று மாவட்ட அளவில் முதலிடம் பிடித்த மாணவர்கள் பெயர்களை மாவட்ட முதன்மைக் கல்வி அலுவலர் அறிவித்துள்ளார். தற்போது ஏன் இந்த பாரபட்சம் என்பது புரியவில்லை என்றார். மாணவியின் பெற்றோர் மாவட்ட ஆட்சியரை சந்தித்து முறையிட்டுள்ளனர். கடலூர், மே 14: பிளஸ்-2 தேர்வில் கடலூர் மாவட்டத்தில் மாணவர்களை விட மாணவிகள், அதிக அளவில் தேர்ச்சி பெற்று சாதனை படைத்து உள்ளனர். கடலூர் மாவட்ட பிளஸ்-2 தேர்வு முடிவுகளை மாவட்ட முதன்மைக் கல்வி அலுவலர் குப்புசாமி, வியாழக்கிழமை வெளியிட்டார். மாவட்டக் கல்வி அலுவலர்கள் ஜவகர், குருநாதன், மெட்ரிக் பள்ளிகளின் ஆய்வாளர் சீனிவாசன் ஆகியோர் உடன் இருந்தனர். மாவட்ட முதன்மைக் கல்வி அலுவலர் கூறியது: கடலூர் மாவட்டத்தில் அரசு பள்ளிகள் 66, நலத்துறைப் பள்ளிகள் 9, நகராட்சிப் பள்ளி 1, அரசு உதவிபெறும் பள்ளிகள் 29, சுயநிதிப் பள்ளி 1, மெட்ரிக் பள்ளிகள் 42 உள்ளிட்ட 148 பள்ளிகளைச் சேர்ந்த 23,655 பேர் பிளஸ்-2 தேர்வு எழுதினர். அவர்களில் மாணவர்கள் 11,426. மாணவிகள் 12,229. தேர்வு எழுதிய மாணவர்கள் 11,426-ல் 8,114 பேரும், மாணவிகள் 12,229 பேரில் 9548 பேரும் தேர்ச்சி பெற்று உள்ளனர். மாணவர்கள் 71.01 சதமும், மாணவிகள் 78.08 சதமும் தேர்ச்சி பெற்று உள்ளனர். விருத்தாசலம் கல்வி மாவட்டத்தில் மாணவர்கள் தேர்ச்சி விகிதம் 63.77. கடலூர் கல்வி மாவட்டத்தில் மாணவர்கள் தேர்ச்சி விகிதம் 79.16 சதம். கடலூர் மாவட்டத்தில் இந்த ஆண்டு பிளஸ்-2 தேர்ச்சி விகிதம் 74.66 சதம். 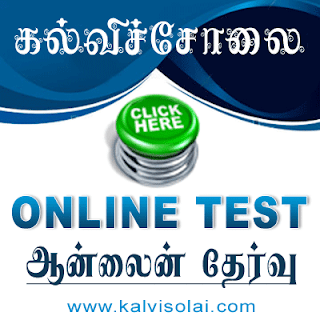 கடந்த ஆண்டு தேர்ச்சி விகிதம் 71 சதம். கடந்த ஆண்டைவிட இந்த ஆண்டு 3.66 சதம் தேர்ச்சி அதிகரித்து உள்ளது என்றார் குப்புசாமி. சிதம்பரம், ஜூன் 18: சிதம்பரம் அண்ணாமலைப் பல்கலைக்கழக பொறியியல் புல ஆம்டெக் ஹாலில் கடலூர், விருத்தாசலம் கல்வி மாவட்டத்தைச் சேர்ந்த பள்ளித் தலைமை ஆசிரியர்களுக்கான லேப்-டாப் கணினி பயிற்சி முகாம் வியாழக்கிழமை தொடங்கியது. 3 நாட்கள் நடைபெறும் இம் முகாமை கடலூர் மாவட்ட முதன்மைக் கல்வி அலுவலர் சி.குப்புசாமி தொடங்கி வைத்தார். பொறியியல் புல முதல்வர் பி.பழனியப்பன் சிறப்புரையாற்றினார். கணினி பேராசிரியர் ராமலிங்கம் வரவேற்றார். விருத்தாசலம் மாவட்டக் கல்வி அதிகாரி குருநாதன் உள்ளிட்டோர் பேசினர். ராணி சீதை ஆச்சி மேல்நிலைப் பள்ளி தலைமை ஆசிரியர் ஆர்.தர்பாரண்யன் நன்றி கூறினார். முகாமில் கடலூர், விருத்தாசலம் கல்வி மாவட்டத்தைச் சேர்ந்த 100 தலைமை ஆசிரியர்கள் பங்கேற்றனர். பிளஸ்-2 தேர்வு முடிவு 14ல் வெளியானது ஏன்? கடலூர், மே 14: பிளஸ்-2 தேர்வு முடிவுகள் எதிர்பாராமல் 14-ம் தேதி வெளியானது ஏன்? என்பதற்கு, கல்வித் துறை வட்டாரங்களில் பேசப்பட்ட சில தகவல்கள் இப்போது கிடைத்து உள்ளன. பிளஸ்-2 தேர்வு முடிவுகள் 8-ம் தேதியே தயாராகி விட்டதாம். ஆனால் மக்களவைத் தேர்தல் காரணமாக வெளியிட வேண்டாம் என்று கல்வித் துறை முதலில் முடிவு எடுத்ததாகக் கூறப்படுகிறது. வாக்குப் பதிவு முடிந்த மறுநாளே பிளஸ்-2 தேர்வுகள் வெளியானது பலரையும் வியப்பில் ஆழ்த்தியது. அரசு அலுவலர்கள் ஆசிரியர்கள், தேர்தல் பணிக்கான ஆணை பெறுவதில் ஏற்கனவே பெரும் குழப்பத்துக்கு ஆளாகி இருந்தனர். தேர்தல் பணிக்குச் சென்று இருந்த பள்ளித் தலைமை ஆசிரியர்கள், ஆசிரியர்கள் பலரும் வியாழக்கிழமை காலை 5 மணிக்கு மேல்தான் வீடுகளுக்குத் திரும்பி உள்ளனர். மாவட்ட முதன்மைக் கல்வி அலுவலர் வெளியிட்ட பிளஸ்-2 தேர்வு முடிவுகளை வாங்க 10க்கும் மேற்பட்ட தலைமை ஆசிரியர்கள் வரவில்லை. தேர்தல் பணி முடிந்து காலை 10 மணி வரையிலும் அவர்கள் வீடு திரும்பாததே காரணம் என்று கூறப்படுகிறது. இந்த நிலையில் உடனேயே தேர்வு முடிவுகளை பெற்றுச் செல்வதும், மாணவர்களுக்கு முடிவுகளைத் தெரிவிப்பதும் ஆசிரியர்களுக்கு எரிச்சலூட்டும் செயலாக அமைந்ததாகக் கல்வித்துறை வட்டாரங்கள் தெரிவித்தன. தேர்தல் வாக்கு எண்ணிக்கை 16-ம் தேதி முடிந்து 17-ம் தேதி வெளியிடுவதானால் அன்று, அஷ்டமியும் மறுநாள் நவமியும் வந்து விடுகிறது. 19-ம் தேதி செவ்வாய்க்கிழமை. அதுவும் உகந்த நாளாகத் தெரியவில்லை. இந்த நிலையில் 20-ம் தேதி தேர்வு முடிவுகளை வெளியிடுவதும், காலம் தாமதம் ஆவதாகவே கருதப்பட்டது. எனவே 14-ம் தேதி வெளியிடப்பட்டதாகக் கல்வித் துறை வட்டாரங்கள் தெரிவித்தன. இத்தகைய சூழ்நிலையிலும் கடலூர் மாவட்ட முதன்மை கல்வி அலுவலர் குப்புசாமி தலைமையிலான கல்வித்துறை அலுவலர்கள், இந்த ஆண்டு பிளஸ்-2 தேர்வு முடிவுகள் பற்றிய அனைத்துத் தகவல்களையும், கணினி மூலம் வெகு நேர்த்தியாகத் தயாரித்து இருந்தனர். அனைத்து புள்ளி விவரங்களும் கையேடாக தயாரித்து வழங்கப்பட்டது. புதன்கிழமை பிற்பகலில் தொடங்கிய இந்த கையேடு தயாரிக்கும் பணி, வியாழக்கிழமை அதிகாலை 5 மணிக்குத்தான் முடிவடைந்து என்றும், கல்வித்துறை அதிகாரி ஒருவர் தெரிவித்தார். விருத்தாசலம், ஜூன் 23: விருத்தாசலத்தில் ஆசிரியர் பயிற்சி பட்டயப் படிப்புக்கான பொதுத் தேர்வு செவ்வாய்க்கிழமை நடைபெற்றது. விருத்தாசலம் டேனிஷ் மிஷன் மேல்நிலைப் பள்ளியில் ஆசிரியர் பயிற்சிக்கான பட்டயப் படிப்பு தேர்வில் விருத்தாசலத்தைச் சேர்ந்த செந்தில், விருத்தாம்பிகை, செயின்பால் இந்திரா, வெங்கடேஸ்வரா ஆகிய கல்லூரிகளிலிருந்து 290 மாணவர்கள் தேர்வு எழுதினர். தேர்வை மாவட்ட முதன்மைக் கல்வி அலுவலர் குப்புசாமி, துறை அலுவலர் ராமதாஸ், பள்ளி தலைமை ஆசிரியர் அதிசயராஜன் ஆகியோர் ஆய்வு செய்தனர். விழுப்புரம், மார்ச்.1: பிளஸ் 2 பொதுத்தேர்வு திங்கள்கிழமை தொடங்கியது. இதையொட்டி தேர்வு மையங்களை கண்காணிக்க 18 பறக்கும் படைகள் அமைக்கப்பட்டிருந்தது. அரசு பொதுத்தேர்வுகள் மார்ச் 1-ம் தேதி முதல் 22-ம் தேதி வரை பிளஸ் 2 மாணவர்களுக்கும், 23-ம் தேதி முதல் ஏப்ரல் 7-ம் தேதி வரை 10-ம் வகுப்பு மாணவர்களுக்கும் நடைபெறுகின்றன. இதில் பிளஸ் 2 தமிழ் முதல்தாள் தேர்வு திங்கள்கிழமை தொடங்கியது. விழுப்புரம் கல்வி மாவட்டத்தில் 41 தேர்வு மையங்களில் 8,707 மாணவர்களும், 8,445 மாணவிகளும், திண்டிவனம் கல்வி மாவட்டத்தில் 5,844 மாணவர்களும், 5,838 மாணவிகளும், மாவட்ட அளவில் மொத்தம் 28,834 மாணவ, மாணவியர்கள் தேர்வு எழுதுகின்றனர். தேர்வு மையங்களை கண்காணிக்க முதன்மைக் கல்வி அலுவலர் பெ.குப்புசாமி தலைமையில் 6 பறக்கும்படை குழுக்களும், விழுப்புரம் மாவட்டக் கல்வி அலுவலர் ஆர். பூபதி தலைமையில் 4 பறக்கும்படைகளும், திண்டிவனம் மாவட்டக் கல்வி அலுவலர் எம். கலியபடையாச்சி தலைமையில் 4 பறக்கும்படைகளும், மேலும் 4 கோட்டாட்சியர்கள் தலைமையில் தனி பறக்கும் படைகளும் என மொத்தம் 18 பறக்கும் படைகள் அமைக்கப்பட்டுள்ளன. தேர்வு அறைக்குள் மாணவர்கள் துண்டு சீட்டு வைத்திருந்தாலோ, புத்தகங்களை வைத்திருந்தாலோ அவர்களுக்கு தேர்வு எழுத ஓராண்டு தடை விதிக்கப்படும். துண்டு சீட்டு மற்றும் பிற மாணவர்களின் விடைத் தாள்களைப் பார்த்து எழுதுபவர்களுக்கு இரண்டு ஆண்டுகள் தேர்வு எழுத தடை விதிக்கப்படும். முறைகேடான செயல்களில் ஈடுபடும் மாணவர்களுக்கு தேர்வு எழுத நிரந்தரமாக தடை விதிக்கப்படும். தேர்வு மையங்களில் தவறான முறையில் தேர்வு நடைபெறுவதாக திடீர் ஆய்வின்போது கண்டறியப்பட்டால், தேர்வு மையத் தலைமை ஆசிரியர் மீது ஒழுங்கு நடவடிக்கை எடுக்கப்படும். தனியார் பள்ளியாக இருந்தால் தேர்வு மையம் மற்றும் பள்ளியின் அங்கீகாரம் ரத்து செய்வதுடன் அப்பள்ளி மாணவர்களை வேறு பள்ளியுடன் சேர்த்து தேர்வு எழுத ஏற்பாடு செய்யப்படும் என்றார். விழுப்புரம், பிப்.16: பிளஸ் 2 மற்றும் 10-ம் வகுப்பு பொதுத்தேர்வில் காப்பி அடித்தால் தேர்வு எழுத 2 ஆண்டுகள் தடை விதிக்க முடிவு செய்யப்பட்டுள்ளது. பிளஸ் 2 மற்றும் 10-ம் வகுப்பு பொதுத் தேர்வுகள் தொடர்பான ஆய்வுக்கூட்டம் விழுப்புரம் மாவட்ட ஆட்சியர் அலுவலகத்தில் ஆட்சியர் ஆர். பழனிச்சாமி தலைமையில் செவ்வாய்க்கிழமை நடைபெற்றது. கூட்டத்தில் ஆட்சியர் பேசியது: அரசு பொதுத்தேர்வுகள் மார்ச் 1-ம் தேதி முதல் 22-ம் தேதி வரை பிளஸ் 2 மாணவர்களுக்கும், 23-ம் தேதி முதல் ஏப்ரல் 7-ம் தேதி வரை 10-ம் வகுப்பு மாணவர்களுக்கும் நடைபெறவுள்ளன. பிளஸ் 2 தேர்வுகளை விழுப்புரம் கல்வி மாவட்டத்தில் 41 தேர்வு மையங்களில் 8,707 மாணவர்களும், 8,445 மாணவிகளும், திண்டிவனம் கல்வி மாவட்டத்தில் 5,844 மாணவர்களும், 5,838 மாணவிகளும், மாவட்ட அளவில் மொத்தம் 28,834 மாணவ, மாணவியர்கள் தேர்வு எழுதவுள்ளனர். தேர்வு மையங்களை கண்காணிக்க முதன்மைக் கல்வி அலுவலர் பெ. குப்புசாமி தலைமையில் 6 பறக்கும்படை குழுக்களும், விழுப்புரம் மாவட்ட கல்வி அலுவலர் ஆர். பூபதி தலைமையில் 4 பறக்கும்படை குழுக்களும், திண்டிவனம் மாவட்டக் கல்வி அலுவலர் எம். கலியபடையாச்சி தலைமையில் 4 பறக்கும்படை குழுக்களும், மேலும் கோட்டாட்சியர்கள் தலைமையில் தனி பறக்கும் படைகளும் அமைக்கப்பட்டுள்ளன. தேர்வுப்பணியில் 1,810 அலுவலர்கள் ஈடுபடுவார்கள். தேர்வு அறைக்குள் மாணவர்கள் துண்டு சீட்டு வைத்திருந்தாலோ, புத்தகங்களை வைத்திருந்தாலோ அவர்கள் தேர்வுகள் எழுத ஓராண்டு தடை விதிக்கப்படும். துண்டு சீட்டு மற்றும் பிற மாணவர்களின் விடைத்தாள்களைப் பார்த்து எழுதுபவர்களுக்கு இரண்டு ஆண்டுகள் தேர்வு எழுத தடைவிதிக்கப்படும். முறைகேடான செயல்களில் ஈடுபடும் மாணவர்களுக்கு தேர்வு எழுத நிரந்தரமாக தடை விதிக்கப்படும். தேர்வு மையங்களில் தவறான முறையில் தேர்வு நடைபெறுவதாக ஆய்வின்போது கண்டறியப்பட்டால், தேர்வு மையத் தலைமை ஆசிரியர் மீது ஒழுங்கு நடவடிக்கை எடுக்கப்படும். தனியார் பள்ளியாக இருந்தால் தேர்வு மையம் மற்றும் பள்ளியின் அங்கீகாரம் ரத்து செய்வதுடன் அப்பள்ளி மாணவர்களை வேறு பள்ளியுடன் சேர்த்து தேர்வு எழுத ஏற்பாடு செய்யப்படும் என்றார் ஆட்சியர். கூட்டத்தில் முதன்மைக் கல்வி அலுவலர் பெ. குப்புசாமி, காவல்துறை கூடுதல் கண்காணிப்பாளர் மார்டின் மற்றும் மாவட்டத்தின் அனைத்து காவல்துறை துணைக் கண்காணிப்பாளர்கள், வருவாய் கோட்டாட்சியர்கள், வட்டாட்சியர்கள், மாவட்ட கல்வி அலுவலர்கள் கலந்து கொண்டனர். விழுப்புரம், ஜன. 26: விழுப்புரம் பெருந்திட்ட வளாகத்தில் அமைந்துள்ள காவல்துறை அணிவகுப்பு மைதானத்தில் குடியரசு தினவிழா செவ்வாய்க்கிழமை சிறப்பாக கொண்டாடப்பட்டது. ÷இதில் மாவட்ட ஆட்சியர் ஆர்.பழனிச்சாமி காலை 8 மணிக்கு கொடியேற்றி வைத்து, காவலர் அணிவகுப்பு மரியாதையை ஏற்றார். பின்னர் 39 காவலர்களுக்கு முதல்வர் பதக்கங்களும், தியாகிகளை கெüரவித்து நினைவுப் பரிசுகளும் வழங்கினார். 89 பேருக்கு ரூ. 6,93,683 மதிப்பிலான நலத்திட்ட உதவிகளை வழங்கினார். கொடிநாள் நிதி அதிகம் வசூலித்ததற்காக தமிழ்நாடு அரசுப் போக்குவரத்துக் கழகம் விழுப்புரம் மண்டலத்துக்கு ஆட்சியர் பரிசளித்தார். நேரு யுவகேந்திரா சார்பில் சிறந்த சேவைக்கான பாராட்டுச் சான்றுகள் என்.எம். தேவராஜ், எம். பாபுசெல்வதுரை, எஸ்.குத்புதின், பி.கே. அம்புஜம் ஆகியோருக்கு வழங்கப்பட்டது. முண்டியம்பாக்கம் ராஜஸ்ரீ மெட்ரிக் மேல்நிலைப் பள்ளி, திண்டிவனம் பிலோமினாள் மகளிர் மேல்நிலைப் பள்ளி, திருக்கோவிலூர் ஞானாந்தா மெட்ரிக் மேல்நிலைப் பள்ளி, உளுந்தூர்பேட்டை ஸ்ரீ ராமகிருஷ்ணா குருகுலம் மெட்ரிக் மேல்நிலைப் பள்ளி, விழுப்புரம் அரசு மகளிர் மேல்நிலைப் பள்ளி, இ.எஸ். மெட்ரிக் மேல்நிலைப் பள்ளி மாணவ, மாணவிகள் 1200 பேர் கலை நிகழ்ச்சிகளை வழங்கினர். இதில் சிறப்பாக நிகழ்ச்சிகள் வழங்கிய 3 பள்ளிகளுக்கு பரிசளிக்கப்பட்டது. இதனை முறையே இ.எஸ். மெட்ரிக் மேல்நிலைப் பள்ளி, ஸ்ரீ ராமகிருஷ்ணா குருகுலம் மெட்ரிக் மேல்நிலைப் பள்ளி, விழுப்புரம் அரசு மகளிர் மேல்நிலைப் பள்ளிகள் பெற்றன. நிகழ்ச்சியில் டிஐஜி மாசானமுத்து, எஸ்.பி. அ.அமல்ராஜ், மாவட்ட வருவாய் அலுவலர் சி. கதிரவன், துணை ஆட்சியர் (பயிற்சி) சுப்புலட்சுமி, நகர்மன்றத் தலைவர் ஆர். ஜனகராஜ், மாவட்ட முதன்மைக் கல்வி அலுவலர் பெ.குப்புசாமி, செய்தி மக்கள் தொடர்பு அலுவலர் மு.பழனிசாமி உள்ளிட்டோர் கலந்து கொண்டனர். விழுப்புரம், பிப். 9: கற்கும் பாரதம் திட்டத்தின் கீழ் விழுப்புரம் மாவட்டத்தில் பெண்களுக்கு எழுத்தறிவு வழங்கும் 1,104 மையங்கள் செயல்படும் என்று பள்ளிசாரா மற்றும் வயதுவந்தோர் கல்வித்துறை இயக்குநர் லட்சுமி தெரிவித்தார். அடிப்படைத் தேவைகளை நிறைவு செய்துகொள்ள அனைவருக்கும் கல்வி அவசியமானது. கல்வி இல்லாமல் வாழ்வின் உயர் நிலையை அடைய முடியாது. 1976 முதல் கல்வி முறையில் 20 திட்டங்களை செயல்படுத்தியுள்ளோம். இதனால் நாட்டில் கல்வி கற்றோரின் எண்ணிக்கை 73.45 சதவீதமாக உயர்ந்துள்ளது. அனைவரும் முழுமையாக கல்வி பெறவே கற்கும் பாரதம் திட்டம் செயல்படுத்தப்படுகிறது. இத் திட்டத்தின் கீழ் 50 சதவீதம் எழுத்தறிவில்லாதவர்கள் உள்ள 365 மாவட்டங்கள் தேசிய அளவில் தேர்வு செய்யப்பட்டுள்ளன. இதில் தமிழகத்தில் தருமபுரி, சேலம், ஈரோடு, பெரம்பலூர், அரியலூர், விழுப்புரம், திருவண்ணாமலை ஆகிய 7 மாவட்டங்கள் தேர்வு செய்யப்பட்டுள்ளன. இதில் முதல்கட்டமாக 5 மாவட்டங்களில் இத் திட்டம் செயல்படுத்தப்பட உள்ளது. ஏற்கெனவே விழுப்புரம் மாவட்டத்தில் 900 மையங்கள் செயல்பட்டுள்ளன. தற்போது கூடுதலாக 204 மையங்கள் வழங்கப்பட்டுள்ளன. 5 ஆயிரம் மக்கள் தொகை உள்ள கிராமத்தில் ஒரு மையமும், அதைவிட கூடுதலாக மக்கள் உள்ள இடத்தில் மேலும் ஒரு மையமும் செயல்படும். இத் திட்டத்தின் முழு பொறுப்பு ஊராட்சி மன்றத் தலைவரைச் சாரும். இதை வட்டார வளர்ச்சி அலுவலர்கள் கண்காணிப்பார்கள். அதே கிராமத்தைச் சேர்ந்த 10-ம் வகுப்பு, பிளஸ் 2 படித்தவர்களை ஊக்குநர்களாக நியமிக்க வேண்டும். பள்ளிகளில் மட்டுமே இது செயல்பட வேண்டும். இதற்காக அனைவருக்கும் கல்வித் திட்டத்தின் மூலம் கட்டப்பட்ட கட்டடங்களை பயன்படுத்திக் கொள்ளலாம். ஒரு மையத்தில் 2 ஊக்குநர்கள், 10 தன்னார்வலர்கள் இருப்பர். படித்த ஒருவர் படிக்காத ஒருவருக்கு கல்வியை சொல்லித் தருவதே இத் திட்டத்தின் நோக்கம். 6 மாதங்களில் அவருக்கு கல்வியை போதிக்க வேண்டும். கல்லாதவர் ஒருவர் பெயரில் ஒரு மரக்கன்று நடவேண்டும். அந்த மரம் வளர்வதைப்போல், அவர்களின் கல்வியும் வளரும். அதே நேரத்தில் சுற்றுச் சூழலும் காக்கப்படும் என்றார். கூட்டத்தில் மாவட்ட முதன்மைக் கல்வி அலுவலர் குப்புசாமி, அனைவருக்கும் கல்வித் திட்ட முதன்மைக் கல்வி அலுவலர் பன்னீர்செல்வம், உள்ளிட்டோர் கலந்து கொண்டனர். விழுப்புரம், ஜன.7: தனியார் மற்றும் மெட்ரிக் பள்ளிகளில் கட்டணங்கள் நிர்ணயம் செய்வது குறித்த ஆலோசனைக் கூட்டம் விழுப்புரம் மாவட்ட முதன்மைக் கல்வி அலுவலர் அலுவலகத்தில் செவ்வாய்க்கிழமை நடைபெற்றது. ÷மாவட்ட முதன்மைக் கல்வி அலுவலர் பெ. குப்புசாமி தலைமையில் நடைபெற்ற இந்த கூட்டத்தில், பள்ளிகள் எந்தெந்த வகையான கட்டணங்களை நிர்ணயித்துள்ளன,விடுதியில் தங்கி படிப்பதற்கான கட்டணம் எவ்வளவு என்பது உள்ளிட்ட விவரங்களை தெரிவிக்கும் வகையில் அவர்களுக்கு படிவங்கள் அளிக்கப்பட்டன. ÷அந்த படிவங்களை 10-ம் தேதிக்குள் பூர்த்தி செய்து மாவட்ட முதன்மைக் கல்வி அலுவலர் அலுவலகத்தில் அளிக்க வேண்டும். 11-ம் தேதி முதல் 3 பேர் கொண்ட குழு அந்தந்த பள்ளிகளில் நேரடி ஆய்வு நடத்தி, 21-ம் தேதி பள்ளிக்கல்வி இயக்ககத்தில் அறிக்கை தாக்கல் செய்யும். இந்த கூட்டத்தில் மெட்ரிக் பள்ளிகள் ஆய்வாளர் தேன்மொழி, மாவட்ட கல்வி அலுவலர் (திண்டிவனம்) எம். கலியபடையாட்சி, மாவட்ட தொடக்கக் கல்வி அலுவலர் (பொறுப்பு) என். தனசேகரன், தனியார் மற்றும் மெட்ரிக் பள்ளிகளின் நிர்வாகிகள், தலைமையாசிரியர்கள் கலந்து கொண்டனர். விழுப்புரம், ஜன. 17: விழுப்புரம் மாவட்டத்திலுள்ள அரசு, அரசு நிதிஉதவி, ஆதிதிராவிட மற்றும் நகராட்சிப் பள்ளிகளில் பணிபுரியும் 301 உயர்நிலை, மேல்நிலைப் பள்ளி தலைமையாசிரியர்களுக்கான பள்ளி நிறுவன திட்டமிடல் பயிற்சி நான்கு நாள்கள் நடைபெற்றன. விழுப்புரம் மாவட்ட முதன்மைக் கல்வி அலுவலர் அலுவலகத்தில் நடைபெற்ற இந்த பயிற்சி முகாமுக்கு முதன்மைக் கல்வி அலுவலர் பெ.குப்புசாமி தலைமை தாங்கினார். திண்டிவனம் மாவட்டக் கல்வி அலுவலர் ம.கலியபடையாட்சி, விழுப்புரம் மாவட்ட கல்வி அலுவலர் (பொறுப்பு) ஆர்.பாவண்னன் ஆகியோர் நிர்வாக மேம்பாட்டுக்கான வழி வகைகளை விளக்கினர். மாவட்ட கருத்தாளர்களான தலைமையாசிரியர்கள் சொ.சண்முகம், க.பழனிவேல், சி.ஜோசப் அந்தோணிராஜ், மு.அரங்கநாதன் ஆகியோர் மாணவர்களுக்கான நலத்திட்டங்களான இலவச பாடப் புத்தகங்கள், சீருடைகள், மிதிவண்டிகள், நோட்டு புத்தகங்கள், விவசாயத் தொழிலாளர் சமூக பாதுகாப்பு திட்டம், தாழ்த்தப்பட்ட, பழங்குடியினர், மிகவும் பிற்படுத்தப்பட்ட மாணவிகளுக்கான பெண் கல்வி ஊக்குவிப்பு திட்டம் ஆகியவை குறித்து எடுத்துரைத்தனர். கடலூர், ஜூன் 17: ஆசிரியர்கள், ஆசிரியர் அல்லாதோர், பொதுமக்கள் கல்வித்துறை தொடர்பான குறைகளை தெரிவிக்க, மாதம் தோறும் 2-ம், 3-ம் சனிக்கிழமைகளில் குறைகேட்கும் கூட்டம் நடைபெறும் என்று, மாவட்ட முதன்மை கல்வி அலுவலர் குப்புசாமி அறிவித்து உள்ளார். அவர் புதன்கிழமை வெளியிட்ட செய்திக் குறிப்பு: பள்ளிக் கல்வித்துறை சார்ந்த கோரிக்கை மனுக்கள் மீது, உடனுக்குடன் நடவடிக்கை எடுக்க வேண்டும் என்று, பள்ளிக் கல்வித்துறை அறிவித்து உள்ளது. அதன்படி பொதுமக்கள், ஆசிரியர்கள், ஆசிரியர் அல்லாத பணியாளர்கள் மற்றும் சங்க நிர்வாகிகள் அளிக்கும் கோரிக்கை மனுக்கள் மீது, மாவட்டக் கல்வி அலுவலர், மாவட்ட முதன்மைக் கல்வி அலுவலர் நிலையில் நடவடிக்கை எடுத்து, உரிய பதில் அளிக்கும் வகையில், குறை தீர்க்கும் நாளில் மனுக்களைப் பெறவும் கல்வித்துறை முடிவு செய்து இருக்கிறது. ஒவ்வொரு மாதமும் 2-ம் சனிக்கிழமை மாவட்டக் கல்வி அலுவலரும், 3-ம் சனிக்கிழமை மாவட்ட முதன்மைக் கல்வி அலுவலரும் கோரிக்கை மனுக்களைப் பெறும், குறை தீர்க்கும் நாளாக கல்வித்துறை அறிவித்து உள்ளது. அந்த நாள்களில் பெறப்படும் மனுக்கள் மீது நடவடிக்கை எடுத்து, உரிய பதிலை மனுதாரருக்கு அதே நாளில் வழங்கவும் முடிவு செய்யப்பட்டு இருக்கிறது. கோரிக்கைகள் மீது உடனுக்குடன் நடவடிக்கை எடுக்காத போதுதான், போராட்டங்களில் ஈடுபடும் நிலையும், நீதிமன்றங்களில் வழக்குத் தொடரும் நிலையும் ஏற்படுகிறது. சென்னை சென்று முதல் அமைச்சர், கல்வி அமைச்சர் மற்றும் உயர் அலுவலர்களைச் சந்தித்து கோரிக்கை மனு அளிக்கும் நிலையும் உருவாகிறது. இதனைத் தவிர்க்கும் பொருட்டே கல்வித்துறை குறைதீர்க்கும் நாள் கூட்டம் அறிவிக்கப்பட்டு உள்ளது. 2-ம் சனிக்கிழமை மாவட்டக் கல்வி அலுவலகத்திலும் 3-ம் சனிக்கிழமை மாவட்ட முதன்மைக் கல்வி அலுவலகத்திலும் காலை 10 மணி முதல் பகல் 1 மணி வரை, மனுக்கள் பெறப்படும் என்றும் செய்திக் குறிப்பு தெரிவிக்கிறது. கடலூர், மே 26: அனைத்துப் பள்ளி மாணவர்களும், பள்ளிகளுக்குச் சென்று 29-ம் தேதியே இலவசப் பாடப் புத்தகங்களைப் பெற்றுக் கொள்ளலாம் என்று, கடலூர் மாவட்ட முதன்மை கல்வி அலுவலர் குப்புசாமி அறிவித்துள்ளார். பிளஸ்-2 மற்றும் எஸ்.எஸ்.எல்.சி. பொதுத் தேர்வு முடிவுகள் பற்றியும், மாணவர்களுக்கு இலவசப் பாடப் புத்தகங்கள் விநியோகம் குறித்தும் விவாதிக்க கடலூர் மாவட்ட உயர்நிலை, மேல்நிலைப் பள்ளித் தலைமை ஆசிரியர்கள் கூட்டம் கடலூரில் செவ்வாய்க்கிழமை நடந்தது. வரும் கல்வி ஆண்டு முதல், பள்ளி வகுப்புகள் தொடங்கும் நாளான 1-6-2009 அன்றே மாணவர்கள் கற்றல் பணியில் முழுமையாக ஈடுபட வேண்டும் என்று பள்ளிக் கல்வி இயக்குநர் அறிவுரை வழங்கி இருக்கிறார். அதன் அடிப்படையில், மாணவர்களின் நலன் கருதி கடலூர் மாவட்டத்தில் உள்ள உயர்நிலை, மேல்நிலைப் பள்ளிகளில் 29-5-2009 அன்றே இலவச பாடப் புத்தகங்களை வழங்க உத்தேகிக்கப்பட்டு இருக்கிறது. பெற்றோர் இதைக் கருத்தில் கொண்டு தங்கள் குழந்தைகளுக்கான பாடப் புத்தகங்களை 29 அன்றே பள்ளிகளுக்குச் சென்று, பெற்றுக் கொள்ளுமாறு கேட்டுக் கொள்ளப்படுகிறார்கள். கல்வி ஆண்டு முழுமைக்கும் பாடப் புத்தகங்களை நன்கு பயன்படுத்தி பள்ளிக்குப் பெருமை சேர்க்குமாறு மாணவர்கள் கேட்டுக் கொள்ளப்படுகிறார்கள். இந்த விஷயத்தில் பெற்றோர் தங்கள் குழந்தைகளுக்கு வழிகாட்ட வேண்டும். மேலும் தொடக்க, நடுநிலைப் பள்ளிகளில் இருந்து உயர்நிலை, மேல்நிலைப் பள்ளிகளில் பயில 6-ம் வகுப்பு மற்றும் 9-ம் வகுப்புகளில் வந்து சேரும் மாணவர்கள் புதிய சூழ்நிலையில் வருகிறார்கள். எனவே அவர்களுக்கு ஒரு மாத காலம் இணைப்புப் பயிற்சி அளிக்கத் திட்டமிட்டு இருக்கிறோம். இதில் கணிதம், அறிவியல் ஆங்கிலம் உள்ளிட்ட பாடங்களில் சிறப்புப் பயிற்சியும் அடிப்படைக் கல்வியும் அளிக்கப்படும். உயர்நிலை, மேல்நிலைப் பள்ளிகளில் கல்வியின் தரத்தை உயர்த்த இந்த முயற்சி உதவியாக இருக்கும் என்றார் முதன்மைக் கல்வி அலுவலர். கடலூர், ஜூலை 29: எஸ்.சி., எஸ்.டி. இதர பின்தங்கிய, சிறுபான்மை வகுப்பைச் சேர்ந்த மாணவிகளுக்கு விடுதி நடத்த, பொதுநல அமைப்புகள் விண்ணப்பிக்கலாம் என்று, மாவட்ட முதன்மை கல்வி அலுவலர் குப்புசாமி அறிவித்து உள்ளார். கடலூர் மாவட்டத்தில் மத்திய அரசின் அனுமதியுடன், பெண் கல்வியில் பின்தங்கிய பண்ருட்டி, நல்லூர், மங்களூர் ஒன்றியங்களில், 9 முதல் 12-ம் வகுப்பு வரைப் பயிலும் எஸ்.சி., எஸ்.டி., இதர பின்தங்கிய, சிறுபான்மையினர் வகுப்பைச் சேர்ந்த மாணவிகளுக்கு விடுதிகள் தொடங்க திட்டமிடப்பட்டு உள்ளது. இத் துறையில் அனுபவம் உள்ள பொதுநல அமைப்புகள் இந்த விடுதிகளை நடத்த, தேர்வு செய்யப்பட உள்ளன. இதற்கான விண்ணப்பப் படிவங்கள், கடலூர் மாவட்ட முதன்மைக் கல்வி அலுவலகத்தில் வியாழக்கிழமை (30-7-2009 ) வரை கிடைக்கும். பூர்த்தி செய்யப்பட்ட விண்ணப்பங்கள் வந்து சேர வேண்டிய கடைசி தேதி 31-7-2009.